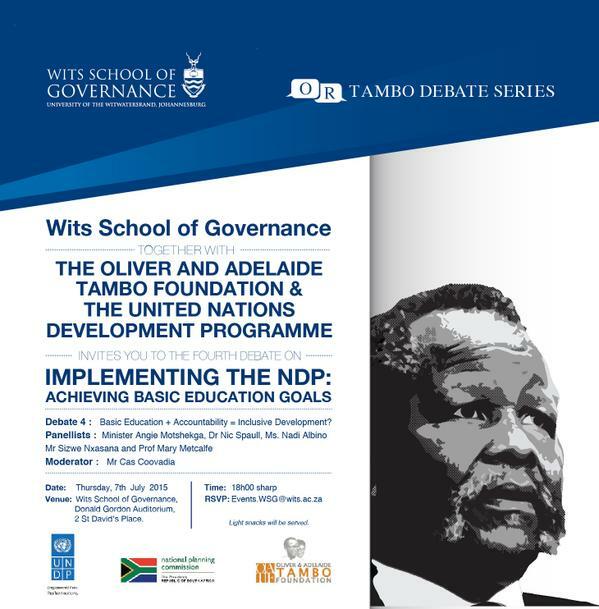 On the 7th of July I will be part of a debate with the Minister of Basic Education, Angie Motshekga as well as Prof Mary Metcalfe, Sizwe Nxasana and Nadi Albino. If you’re around join us – it should be an interesting debate 🙂 (to RSVP see the invite above). For those of you who will be in and around JHB on 22 June (9am-1pm) come and join us for a conversation about the Annual National Assessments (invite here). I’ll be speaking together with Martin Gustafsson and Caroline Long. Applications for teacher intern bursaries are due on the 3rd of July 2015 (see here). Only students studying through UNISA are eligible and the focus is on Maths and English. I really like the internship model of teacher training (i.e. being under a master teacher) and am keen to see this program expand. Someone dies from a shack fire every 2 days. A friend of mine, Frank Petousis, is involved with a social startup called Lumkani which builds small cheap devices which can detect shack fires and alert residents (and neighbors). I’ve donated to their Indiegogo drive to raise $50,000 to cover 3000 shacks. Go check it out! On the 22nd of May 2015 Ireland took to a referendum the issue of gay marriage in the country (watch this video). Citizens voted overwhelmingly in favor of granting equal status to gay people to get married (62% voted yes).